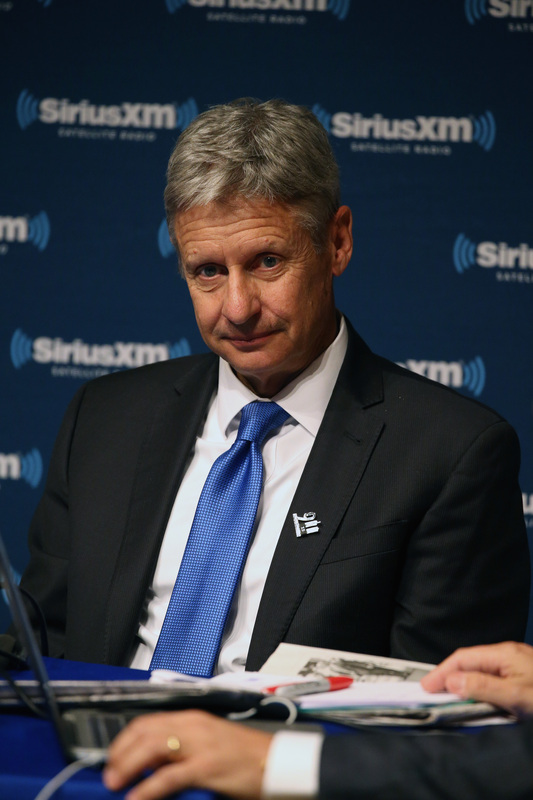 Gary Johnson Wants "Aleppo Moment" To Be A Catch-All For "Those Times When I Can't Recall Anything"
After several moments, during which time Matthews listed all of the continents, Johnson finally replied, “I guess I’m having an Aleppo moment in the former president of Mexico.” Ultimately, his running mate, Bill Weld, proffered the name of former Mexican president Vicente Fox. Matthews followed up by asking Weld his favorite leader, to which the former Massachusetts governor quickly replied “Merkel,” referring to Germany’s chancellor. While at first blush the moment just makes for bad politics (and cringeworthy television), pausing for a moment to consider the rhetorical implications of an “Aleppo moment” paints a much worse picture. Following the original Aleppo gaffe, many observers were surprised to find that Johnson’s poll numbers went up, suggesting that the attention from the flub might have boosted the third-party candidate’s visibility. The invocation of one blunder in the midst of another suggests that, perhaps, Johnson thought his deer-in-the-headlights look might be a good thing. But the really appalling part of the exchange was the idea of using the name of a city currently undergoing a humanitarian crisis to stand in for Gary Johnson having a brain fart. Aleppo has been a war zone for years, with hundreds of thousands of civilians caught in the crossfire. This hasn’t been a momentary crisis or a passing disaster; this is now their lives, and it shows no meaningful sign of ameliorating anytime soon. Love it or hate it, America is the world’s leading superpower, which means that we need to have a president who is conversant in foreign matters (and, you know, who can readily name some of his fellow heads of government). For those who were hoping Johnson might prove himself as an acceptable third way between the two deeply unpopular major party candidates, I hope you aren’t too disappointed. But voting for a candidate like Johnson is more than just throwing your vote away. It’s irresponsible.